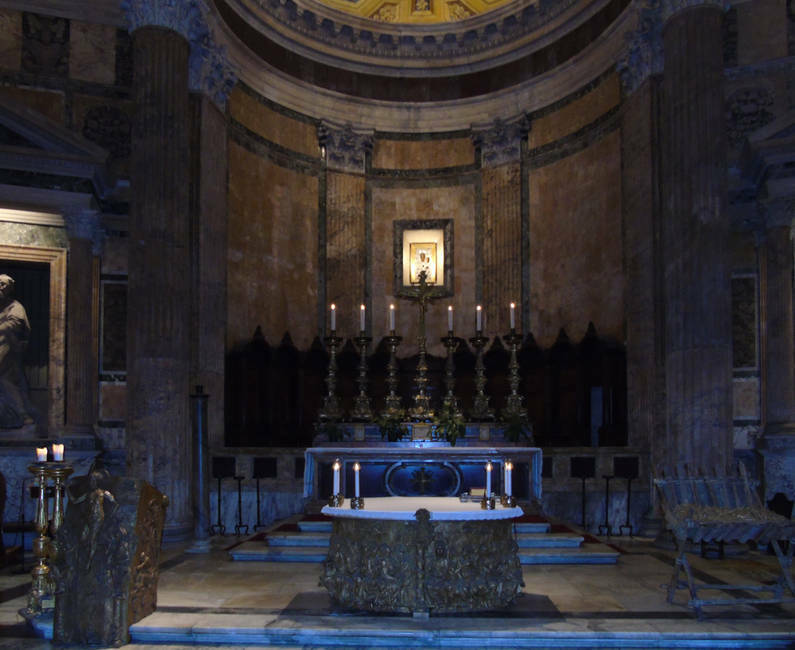 From the Basilica of San Vitale to the Pantheon in Rome. 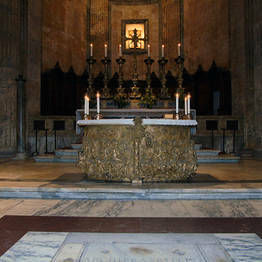 The large Altar completes the liturgical furnishings created for the Pantheon by the sculptor Federico Severino. 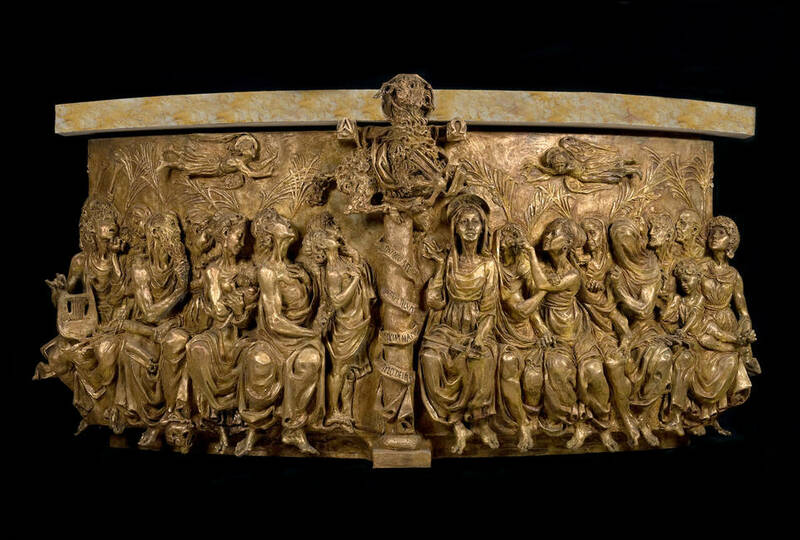 The large bronze Altar, arrived on 8 December 2017 after Being temporarily exhibited in the Basilica of San Vitale in Rome, is now installed together with the 14 bronze panels representing the Stations of the Cross and the Ambon. 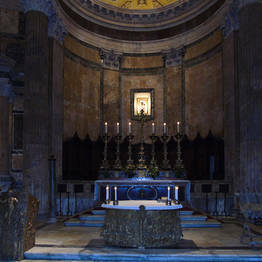 The Feast of the Immaculate (8 December) has been the first occasion for visitors to admire the complete liturgical furnishings at the Basilica of S. Maria ad Martyres better known as Pantheon, one of the most admired Ancient Roman Architecture, majestic building in the historic center of Rome. 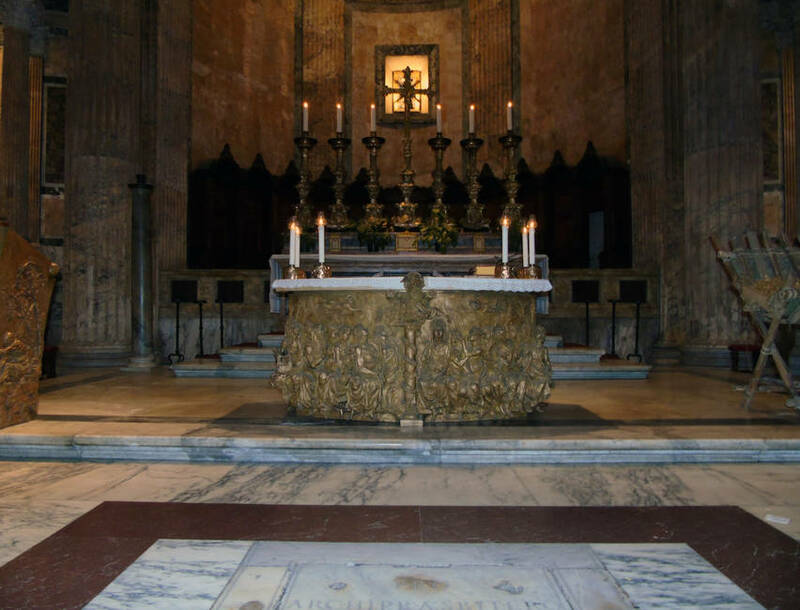 Both by choice of material, gilded bronze, and by style, the work of Severino, fits with respect and attention in the architectural context of the Pantheon, recalling the rigorous and solemn geometry of paintings and panels that marks the imposing dome. 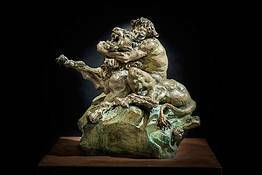 A long and complex creative operation that has accepted the challenge of finding deeply contemporary signs and images to transmit the Christian message. An intervention aimed at re-launching the most current debate on the dialogue between the Church and contemporary art, under the sign of the search for beauty and truth.